Founded in 1964, Unitron got its start in the Waterloo region of Ontario, otherwise known as “Canada’s Silicon Valley.” Now a part of the Sonova Group, a global provider of hearing instruments, Unitron distributes hearing aids worldwide to 45 countries. 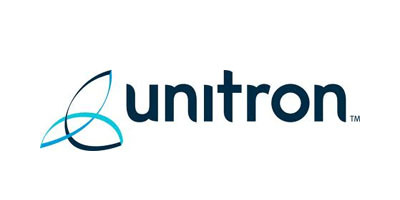 Driven by their mission to design hearing aids to make life better for those with hearing loss, Unitron partners with the National Centre for Audiology at the University of Western Ontario. Utilizing feedback from audiologists and hearing aid wearers, Unitron produces hearing aids boasting patient-centric design. To raise awareness on the issues of hearing loss, Unitron partners with organizations such as the Global Foundation for Children with Hearing Loss and the Hear the World Foundation. 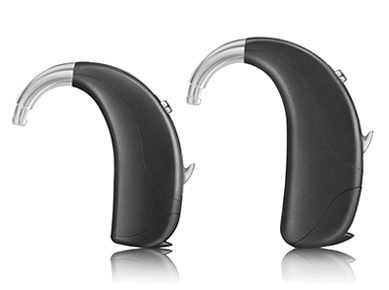 The North Processing Platform is at the heart of Unitron hearing aids, providing a greater dynamic range, clean handling of signals, and tightly integrated algorithms. With a 101 decibel dynamic range, Unitron hearing aids provide wearers with a better sound picture without distortion. The dual core processing performs tasks quickly, giving wearers better focus of sounds in noise. The seven settings capture clear sound in seven common environments, including four that are designed specifically for speech: conversation in quiet, in a small group, in a crowd, and in noise. The North Processing Platform combines three major Unitron features to achieve natural listening: Speech Zone 2 (speech recognition), SoundNav, and Sound Conductor. 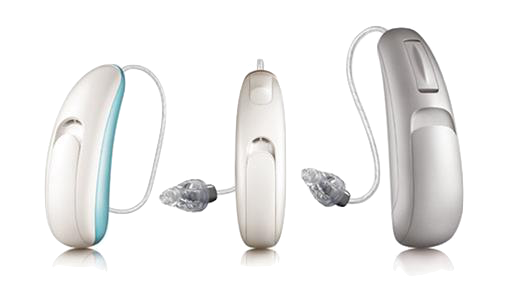 Stride is Unitron’s behind-the-ear and in-the-hear hearing aid, available in five technology levels. With Speech Zone 2, the Stride adjusts to an optimal microphone to focus on speech from any direction, especially in noisy situations. Binaural spatial processing engages both hearing aids to work together to determine the direction of speech. Sound Conductor balances appropriate features and provides speech understanding and comfort in sound, while SoundNav automatically identifies and smoothly transitions across environments. Other features include MyMusic for music lovers, Binaural Phone to make phone calls easier, and Automatic Adaptation Manager. The Stride hearing aid is rated at IP67, which is a high rating for water and dust resistance (i.e. IP57 denotes water resistance). Moxi is available in three receiver-in-canal styles, all powered by the North Platform. The Moxi Fit, the newest model, offers a push button and telecoil. The Moxi Kiss is an award-winning, fully automatic device. The Moxi Dura offers a long battery life and heightened reliability. 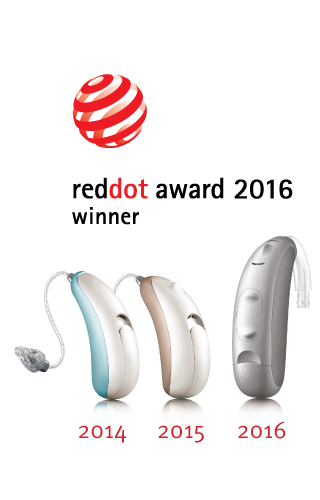 Both Moxi Fit and Kiss have received Red Dot Awards in 2015 and 2014 respectively. With five technology levels, the Moxi offers the same features as listed above in the Stride description. The Moxi Kiss and Fit are rated at IP57 for protective coating, and Dura at IP67. Max is Unitron’s Super Power hearing aid which fights over-amplification and maximizes speech intelligibility. Max is available in two forms: a Super Power behind-the-ear hearing aid with a 675 battery and a Super Power mini BTE with a 13 battery. Max is available in three technology levels – 20, 6, and E (denotes the channels available). Other features include automatic programming, power adaptation, Smart Focus, Binaural Phone, SelfLearning, AntiShock, and frequency compression. All technology levels of the Max offer feedback manager, wind noise manager, DuoLink, and My Music. Unitron’s TrueFit Software and Flex program gives wearers the option to “test drive” Unitron devices before committing to one model. With the understanding that hearing is highly personalized, TrueFit Software utilizes Log It All, a data collection archive that records user preferences throughout the day. Over a period of time, this archive helps hearing professionals tailor hearing aids to meet specific hearing needs. According to Unitron, 84% of Flex customers believe it improves the patient experience.